MPT mourns the passing of Zvi Shoubin, our long-time program manager, who died on Saturday, September 5, 2015. 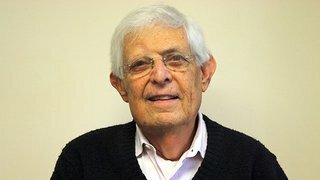 Zvi’s long career in broadcasting started and ended in Baltimore, with stops along the way in New Haven, Philadelphia, New York, New Orleans, and Chicago. He earned four Emmy awards for producing and directing as well as a 2011 National Capital Chesapeake Bay Chapter Gold Circle Award for his significant contributions to broadcasting for over five decades. While at MPT, Zvi developed the wildly popular program blocks, Afternoon Tea, Friday Night Mysteries, and Opera Week. He received numerous public television program awards, most notably the Public Television Programmers’ Association Programmer of the Year award in 2003. Zvi's guiding hand in MPT's programming schedule will be missed greatly, by staff and viewers alike.